#1 - Do you need a trademark? Trademarks protect your brand, your company name, and your products. Before picking a name for your business or offering your products for sale, discuss the need for trademarks and other intellectual property protections with a Maryland business attorney. #2 - Register your domain name. The internet is a vital tool for a business. Whether you intend to sell goods online or advertise online, you need to register your domain name and any related names as soon as possible. Controlling website domains that include your business name or are close to the spelling can be an important factor in the success of your business. #3 - Choose a business structure. The business structure you choose for your company impacts several factors, including personal liability, tax liability, management and operation flexibility, and ease of paperwork. Each business structure has unique benefits and disadvantages. You need to analyze the pros and cons to determine the business structure that is best for you and your company. #4 - Create a business plan. A comprehensive business plan includes numerous sections that guide you during the formation of your business and the operation of your business. Your business plan is tailored to your business and the industry. However, most business plans include sections related to business objectives, product or service development, marketing, financing, organizational structure, management, ownership, risk factors, and timetable. Your business plan serves as a roadmap and checklist for your business. #5 - Create business forms and contracts. Each business utilizes a variety of forms, contracts, and internal documentation. Drafting business forms and contracts with the assistance of a Maryland business attorney is important. You want to ensure that your contracts and forms protect your best interests and limit your risk and liability. #6 - Choose a business location. Choosing a business location is another key factor that can significantly impact your company’s success. Make a list of the features and elements you need for your business space. Research various locations to determine which location is best for you based on your needs and your rental budget. Work with your attorney to negotiate the terms of the lease. #7 - Purchase applicable insurance coverage. Depending on your business, you could need several types of insurance coverage, including premises insurance, liability insurance, automobile insurance, business interruption insurance, health insurance, and product liability insurance. A Maryland business attorney can help you review the various types of business insurance to determine what coverage you need to protect yourself and your business. #8 - Obtain required licenses and permits. Depending on your business, you may require one or more permits or licenses. It is extremely important that you investigate state, county, and local regulations regarding permits and licenses. Failing to obtain licenses and permits could result in substantial penalties. #9 - Set up accounting procedures and tax accounts. Detailed accounting records are essential for any business. Establish your accounting system as early as possible and set up your tax accounts to avoid costly mistakes and problems in the future. 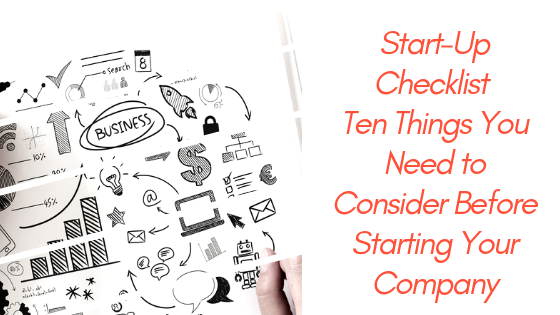 #10 - Establish an exit strategy. This step is also important because you always need to plan for the unthinkable. You may not intend to retire for many years; however, you must plan for an illness, injury, incapacitation, or death. Do You Need Help From a Maryland Business Attorney? If you are setting up a new business or have questions about your current business, schedule a consult with Maryland business attorney Stephen Thienel today for more information and trusted legal advice. Mr. Thienel has decades of experience assisting clients with their tax planning needs throughout, Maryland, Virginia, and the District of Columbia. Older PostMaryland’s Minimum Wage Increase - Is Your Company Compliant?